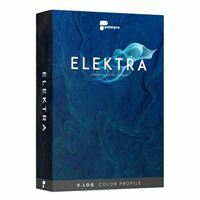 PolarPro's Aurora Color Presets provide a range of easy to use color styles for creating cinematic looks to your videos. Developed specifically for shooting in D-log, users can harness the power of more dynamic range for the highest quality playback possible. The Aurora bundle offers a creative range of Look Up Tables or "LUTs" to fit the mood and themes of any video project. Whether looking to streamline your post production workflow or simply bring more cinematic qualities to you content, Aurora will help you bring your footage to life.